Below is a guest post from Sara Kearns of Travel’s with Sara. She shares how a referral upgraded a bad safari experience into a fantastic African adventure and started a long client-agent relationship. In the age of smartphones and 24/7 internet access, people use reviews and referrals like crazy. Whether it’s picking a restaurant for dinner, choosing a movie to go see, or the best way to spend an afternoon in an unfamiliar city, people turn to sites like Yelp and TripAdvisor for input. A study done in 2014 found that 75% of social media users reference 6-12 posts on travel review sites before making a reservation. No doubt that number has increased in recent years. And although these reviews can be a great tool, they are not the end-all-be-all for a great trip. When it comes down to getting travel recommendations, anonymous reviews on the Internet from people you don’t know can never compare to a recommendation from a friend or family member. You know them, you trust their judgment, and you can ask questions about their experience. But your family and friends don’t always know how to get you the best deals. Fortunately, a trusted travel agent can be all of those things! Using a travel agent, especially one recommended by someone you know, is the best way to get inside travel tips and recommendations. Travel agents are like a living travel review page. We have years worth of experience and client references to give you the same information a travel site could offer, but with a guarantee you’re hearing from real people who took these trips. We know the information that might be left off the web review. When you pair that with also finding you the best deal, working with travel agents is a no-brainer. Along with those Internet reviews to sift through, there are advertisements for “amazing travel deals” and special discount trips that may fool an unseasoned traveler into sacrificing key elements of their trip for a lower price, not knowing what that discount trip does or does not include. Here’s an example. 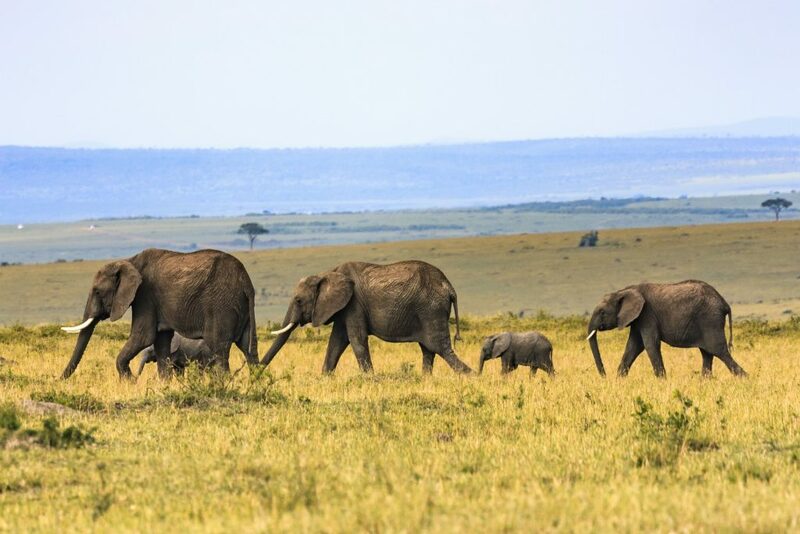 Some friends of a long-time client of mine had always wanted to see the beautiful wildlife and landscape of Kenya. It was their dream. After doing some online searching, they found a cookie-cutter African Safari trip for a “deal.” All they saw was the low price and the two or three reviews that went along with the advertisement. What looked like a great bargain turned out to be a huge disappointment. The couple didn’t realize how little the trip included. When they arrived for their safari, there were way more people in the group than they were expecting, they were not riding in the vehicles advertised online. They didn’t receive a private guided tour, the camps they stayed at were poor quality. The list went on and on. Soon after that, I got a call from the disgruntled couple. They told me about their let-down trip, and I assured them I could reignite their dream for Africa. I worked with them on a budget, making sure to include all of the safari elements they wanted, with tours and camps that met their expectations. I was able to tell them first-hand what some of the camps and tours were like because I’ve been there and know what to compare it to! The couple has since returned from privately guided tour through Travels with Sara and they couldn’t be happier. They fell in love with Africa again and can’t wait to book their next trip. Never underestimate the power of referrals. Online resources can be helpful for local things, but when it comes to booking international trips, don’t rely on anonymous reviews from the internet. You can always check with friends and family, but the people who will know best are travel agents! 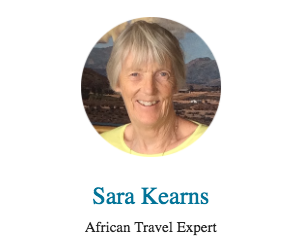 If you want to receive first-hand referrals for the best African adventures and learn more about Sara Kearns, check out her profile in our directory by simply clicking here.